Don’t trust your bike in the hands of a novice Kawasaki motorcycle locksmith! We are San Diego’s prestige Kawasaki motorcycle locksmith. How have we grown into the prestige Kawasaki motorcycle locksmith in San Diego? 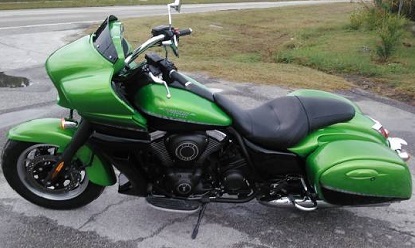 Our passion for the Kawasaki brand and enthusiasm for Kawasaki motorcycles shines through on all of the motorcycle locksmith services that we provide to the area. All year and model Kawasaki motorcycles. **Our Kawasaki locksmith services cater to all years and models! We have the skills to serve all of your needs, including every blank Kawasaki key ever made! From the gas cap, to the ignition, our Kawasaki locksmith services can help you! Did you break your Kawasaki ignition key off into the ignition? Perhaps you have lost your Kawasaki motorcycle keys entirely? No problem! Kawasaki locksmith services are what we do here at Prestige Locksmith. What are you waiting for? In just 30 minutes we will come to you and you will save on your new Kawasaki motorcycle keys in your hand! Call now (858)353-7430.